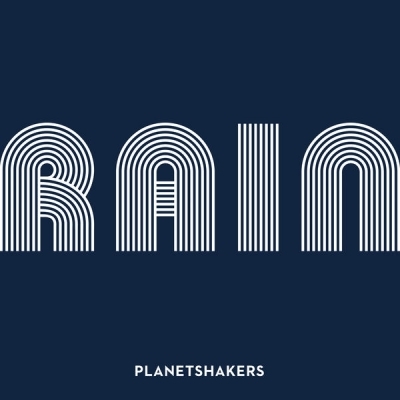 Internationally recognized praise band Planetshakers releases Rain Part 1. The new four-song digital EP from Planetshakers was recorded in Melbourne, Australia at Planetshakers Church and features over 27-minutes of music. Read More Internationally recognized praise band Planetshakers releases Rain Part 1. The new four-song digital EP from Planetshakers was recorded in Melbourne, Australia at Planetshakers Church and features over 27-minutes of music. The new EP precedes the annual Planetshakers Conferences launching with the “Rain” theme this year at Melbourne Arena in Melbourne, AU April 10 and at Royal International Convention Centre in Brisbane, AU (Bowen Hills QLD) April 16. So, what would happen if someone said "let’s make a bunch of worship songs in the style of Justin Timberlake". What would come out is something that wouldn’t be far off sounding like these songs on this EP, especially the opening two songs, ‘All Around’ and ‘I Lift Your Name Up’. The first two songs are poptastic worship tunes that are so upbeat you can not help but be drawn into the excitement and positivity, the songs ooze these qualities. Yet of course we know that something amazing is happening that is bigger than any pop sound. This is a shed load of worshippers praising God and it is captured beautifully on this album. Even the slower songs or more intimate songs like ‘Right Now’ and 'Fire Fall' still have this up-beatness. The latter track even having a key change in it. Planetshakers always produce what I call 100mph worship music. This is such a Planetshakers release. It has everything you expect from them. Big sounds, big vocals - everything is super sized to make this noise of praise.